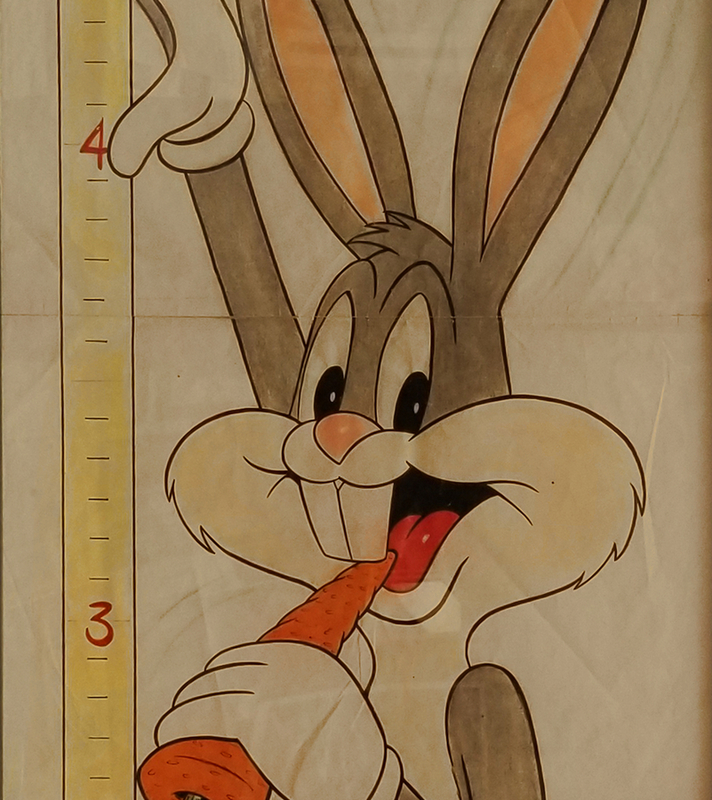 This is an original illustration of Bugs Bunny that was created as a developmental design for a child's height chart poster. The overall measurements of the piece are 50" x 20" framed and the image itself measures 47" x 17". The piece is in good condition with a few horizontal folds due to it originally being stored folded. The design is signed by an artist named Iversen, and the piece appears to be from the 1970s, but we don't have further specifics on the identification.